financial.com has vast expertise in building, hosting and supporting market information portals for intranet and internet. Some of the biggest banks in the world rely on our expertise. Every financial.com product is built in a modular way and shares the same middle ware and back end technology. All HTML and HTML5 frontend modules can be combined and delivered as an intranet or public internet portal solution built and hosted by financial.com. Alternatively, clients can integrate individual widgets into their own website as standalone widgets. Founded 200 years ago as the first Austrian Savings Bank, Erste Group went public in 1997 with a strategy to expand its retail business into Central and Eastern Europe. Since then Erste Group has grown to become one of the largest financial service providers in the Eastern part of the EU in terms of clients and total assets and the leading banking group in Austria with over 50% local market share in the retail business and around 50.000 employees. 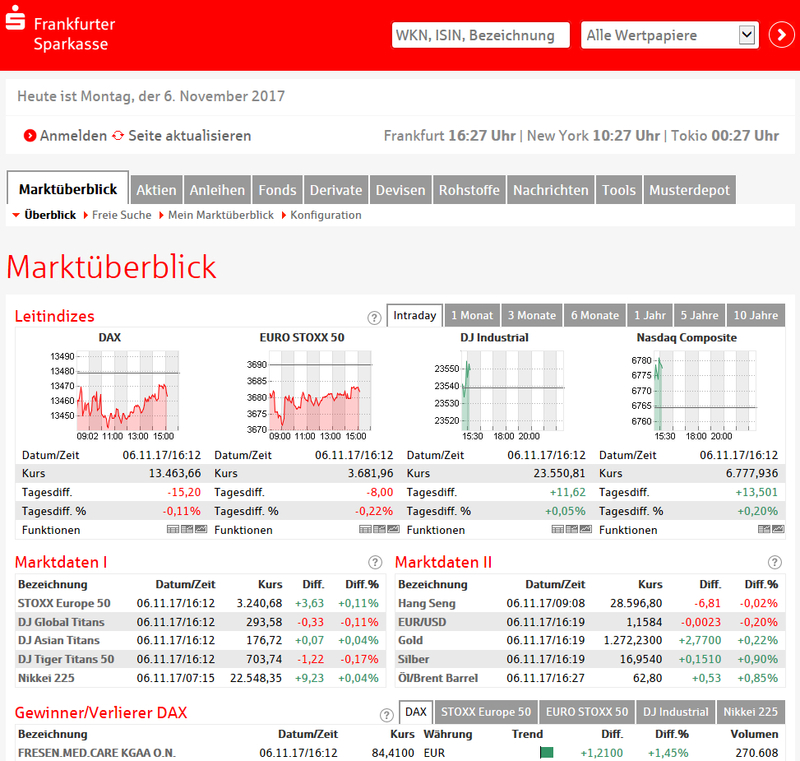 financial.com is developing and operating the standard advisory and market info system in the Austrian Savings and Retail Banks sector (“WPISI”) on behalf of Erste Group. Around 7.000 professional intranet users are using financial.com’s technology as well as the service facilities of our helpdesk and data center operation infrastructure. 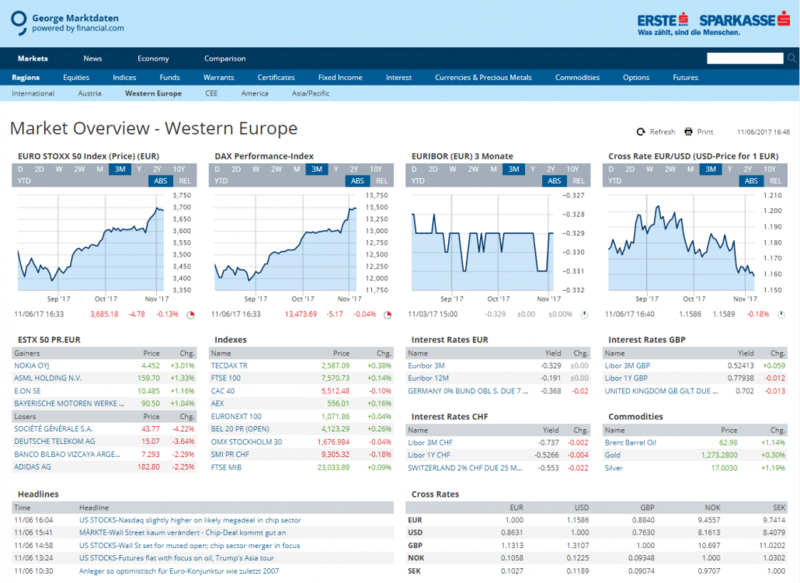 Additionally financial.com provides the market data information section to “George”, the new online banking of Erste Bank. Finanz Informatik (FI), headquartered in Frankfurt am Main, is the IT service provider of the German Savings Banks Finance Group. Their customers include around 400 savings banks, 8 federal state banks and DekaBank, as well as 10 state home loan banks and various other companies within the Savings Banks Finance Group and the financial service sector. Finanz Informatik provides a full range of information technology services, including the development and implementation of IT solutions, networks and technical infrastructure, as well as data centers, consulting, training and support. With the OSPlus IT banking solution, FI has one of the leading IT systems in the German retailbanking sector. Finanz Informatik is responsible for servicing 120 million accounts and handles over 110 billion technical transactions every year. 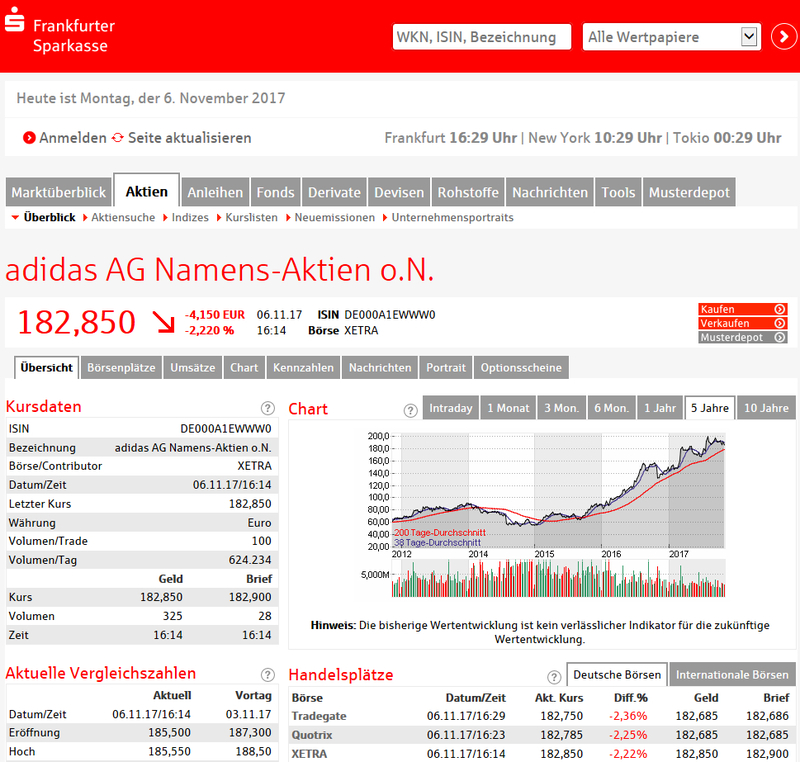 financial.com is developing and operating the standard advisory and market info system in the German Savings Banks sector (“S-Investor”) on behalf of FI. Integrated in OSPlus around 25.000 professional intranet user and 400 public websites are using financial.com’s technology as well as the service facilities of our helpdesk and data center operation infrastructure. Beyond that financial.com and partner companies are significantly involved in supplying and processing the Savings Banks portfolio management system.